Figaro’s talents came to light purely by chance. A researcher happened to be nearby when Figaro dropped a stone behind a metal cage divider. Unable to reach the plaything with his feet, the enterprising cockatoo flew off and returned with a piece of bamboo. He used the bamboo to push the stone within reach. Intrigued, the researcher tempted Figaro with a nut and a stick that was not long enough to reach the treat. Undaunted, the cockatoo used his powerful beak to remove a long wood splinter from the cage’s wooden floor, and then swept the nut within reach with the new tool. In time, Figaro made a variety of tools from the floor and a tree branch, modifying them to fit each situation and always succeeding in retrieving his rewards (please see video and photos of tools linked below). 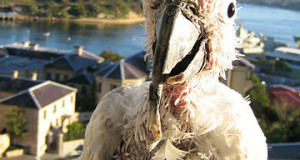 Another Goffin’s Cockatoo who watched Figaro perform his magic tried to imitate him when tested. This bird did not succeed, but perhaps will improve in time. This unique situation may provide an interesting opportunity to study the evolution of learning abilities…I’ll post future updates. Crows, Ravens and their relatives (Family Corvidae) excel at fashioning and using tools. In fact, it has been suggested that Ravens’ abilities in this area rival those of the Great Apes. In Japan, I saw evidence of the intelligence of the local Carrion Crows, which not only use passing cars to break nuts but also seem to understand the functioning of traffic lights! New Caledonian Crows have proven unbelievably inventive, going though several steps and a number of different tools in order to obtain a reward. Please see articles linked below for more on these fascinating birds. Green Herons are quite adept at recognizing and using tools to improve their fishing success. Wild individuals drop small sticks on the water’s surface to lure fish close enough for a strike, while those colonizing fish farms will do the same with trout chow and bread (please see video below). I was once impressed by the behavior of a related species. For quite some time, I fed fish to a wild Night Heron that lived near an outdoor exhibit under my care at the Bronx Zoo (please see photo). The bird never failed to appear when I arrived, yet did not show up on my weekends, even though co-workers wore the same uniform and carried the same food bucket (studies show that Mockingbirds can recognize individual human faces…please see this article). Goffin’s Cockatoos are captive bred in large numbers but endangered in the wild. Listed on CITES Appendix I, they are endemic to Indonesia’s Tanimbar Islands. 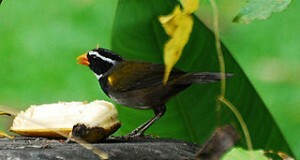 Introduced populations live on Tual Island (Indonesia) and in Singapore. Please see the articles below for more on their natural history and captive care. 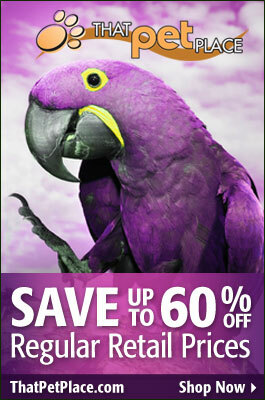 Want to brag about your bird’s intelligence? Please post your stories below! Japan’s Carrion Crows Understand Traffic Signals! Hello! This post couldn’t be written any better! Reading this post reminds me of my good old room mate! He always kept chatting about this. I will forward this write-up to him. Fairly certain he will have a good read. Many thanks for sharing!